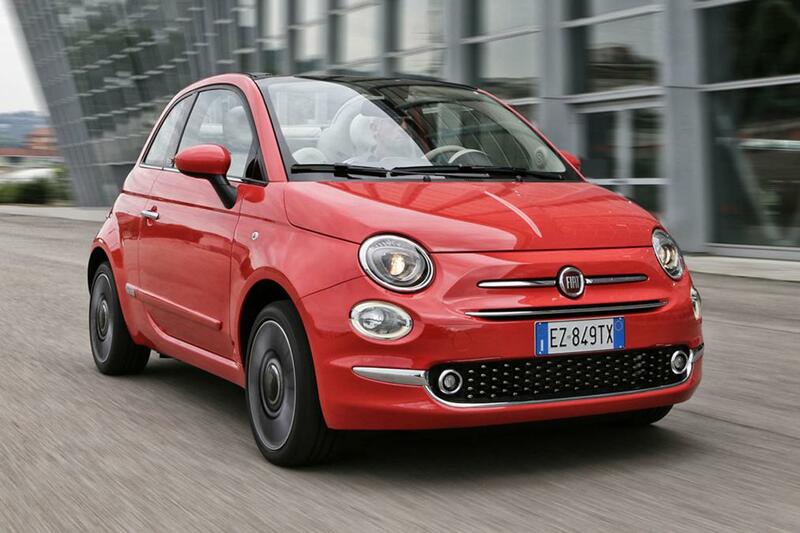 Here are some great pictures of the newly face lifted Fiat 500, the first major overhaul since its introduction into the market over 8 years ago … how time flies! 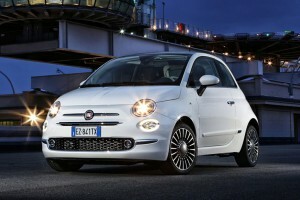 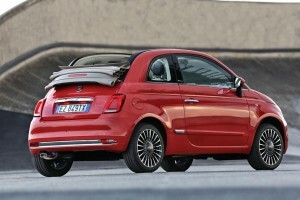 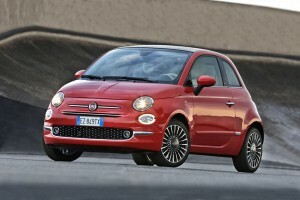 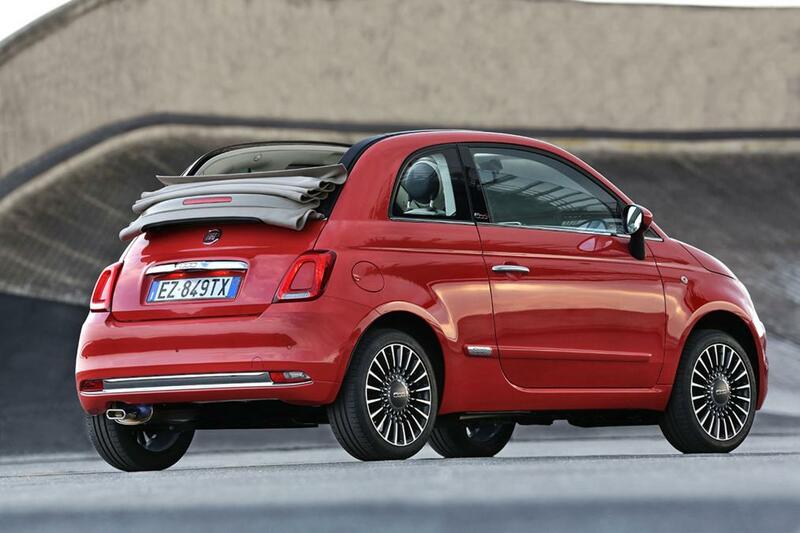 As with its predecessor , it’s available as a hatchback or a semi-convertible 500C with a rollback fabric roof. Included are a circle of LED daytime running lights intended to represent the ‘0’ shapes in the 500 logo. 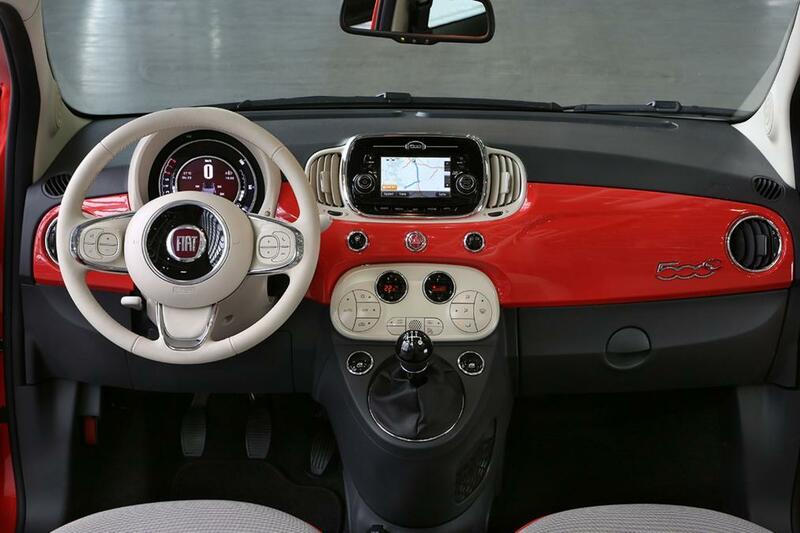 The rear lights have also undergone a degree of change – they fill the same space as before, they’ve become rectangular cut-outs. 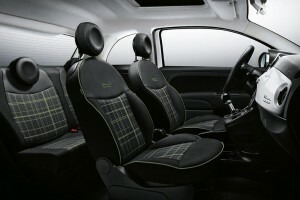 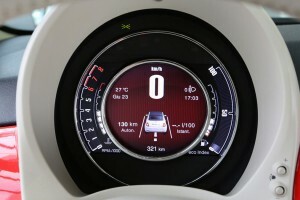 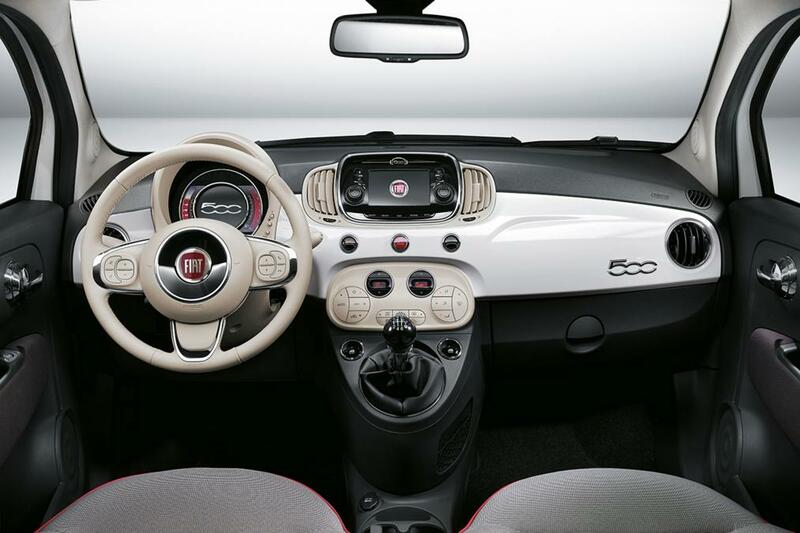 The interior of the car also benefits from a re-design – the ‘U-connect’ infotainment system from elsewhere in the Fiat/Alfa/Jeep range now makes an appearance mid-dash and the Lounge models sport a larger touchscreen interface with smartphone connectivity – the kind of functionality that’s essential for the 500 to retain its target audience of youthful urbanites. 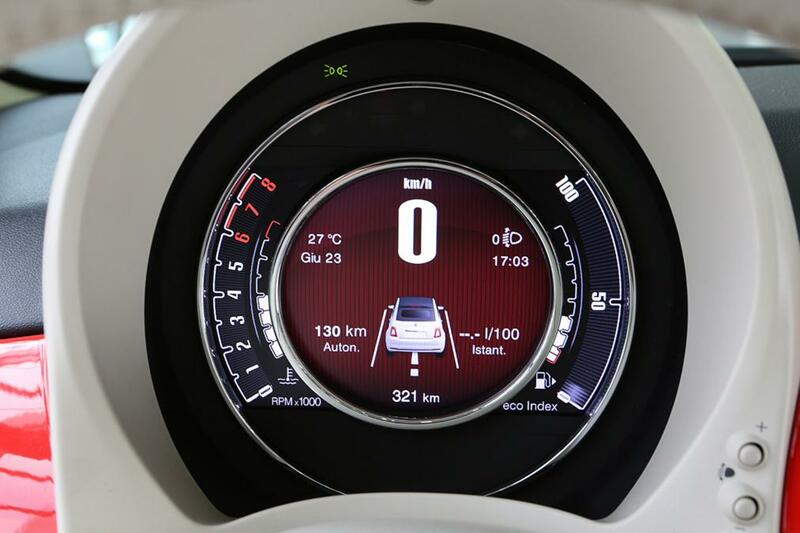 Included is an optional digital TFT display in its centre with trip info and media displays – Other changes are minor. 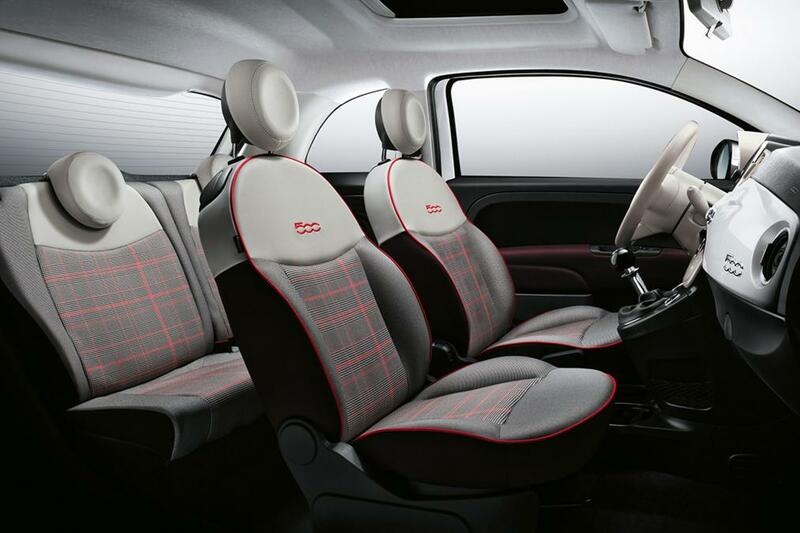 Slightly different seats, new cupholders and a new position for the 12V socket are the bits you can see; extra soundproofing panels on the passenger side to make motorway journeys a bit more tolerable are the bits you can’t. There are three trim levels: Pop, Popstar and Lounge & all benefit from USB connectivity, colour screen and steering wheel controls but the base Pop has to go without air-con. 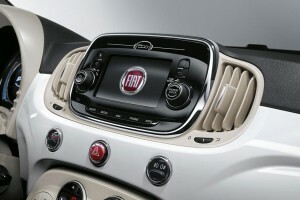 The top Lounge gets a large glass sunroof along with that touchscreen interface. 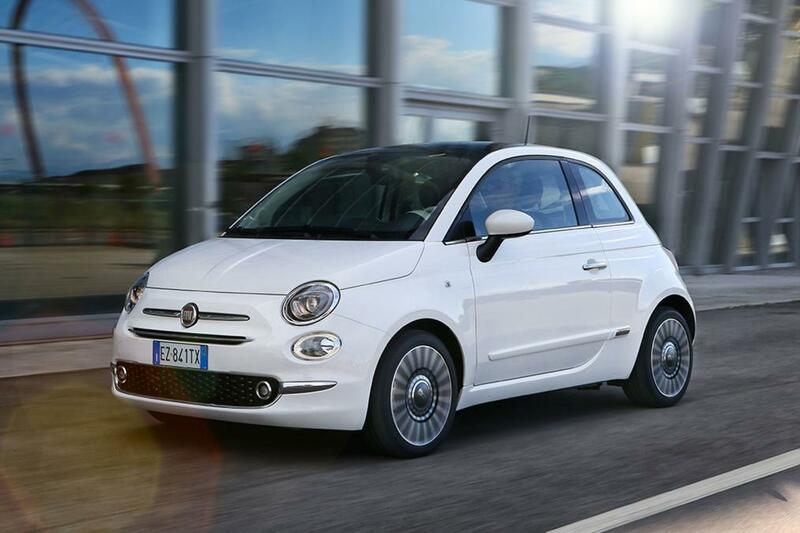 The range goes on sale in September 2015, starting from £10,890. Full prices will be revealed closer to the launch date.